NOTE: Les documents disponibles sur ce serveur ont été offerts par les auteurs-contributeurs dans l'objectif d'assurer la diffusion rapide de leurs travaux scientifiques et techniques dans un but non-lucratif. Les droits d'auteur et tous les droits associés sont maintenus par les auteurs ou les autres détenteurs des droits, malgré que ses ouvrages soient offerts électroniquement. Il est entendu que toutes les personnes qui copient ces informations respecteront les conditions et contraintes invoquées par les détenteurs des droits. Ces ouvrages ne doivent pas être rediffusés sans permission explicite des détenteurs des droits. NOTE: The documents available on this server have been provided by the contributing authors as a means to ensure timely dissemination of scholarly and technical work on a noncommercial basis. Copyright and all rights therein are maintained by the authors or by other copyright holders, notwithstanding that they have offered their works here electronically. It is understood that all persons copying this information will adhere to the terms and constraints invoked by the copyright holders. These works may not be reposted without the explicit permission of the copyright holders. Integrative Levels of Program Comprehension, by Reinhard Schauer and Rudolf K. Keller. In Proceedings of the 15th Working Conference on Reverse Engineering (WCRE-2008), Antwerp, Belgium, October 2008. IEEE. Full Text (PDF format; available soon). Offshore Teams for Efficient Software Maintenance, by Rudolf K. Keller. In Proceedings of the 4th International Symposium on Software Technology in Iwate (ISST-2008), pages 101-110, Morioka, Japan, May 2008. Aligning Software Maintenance to the Offshore Reality, by Christian Seybold and Rudolf K. Keller. In Proceedings of the 12th European Conference on Software Maintenance and Reengineering (CSMR-2008), pages 33-42, Athens, Greece, April 2008. IEEE. Haut de la page (Top of Page). Offshore-Möglichkeiten besser genutzt: Assessments zur Strategie, Partnerwahl und Durchführung, by Klaus-Peter Wichmann and Rudolf K. Keller. OBJEKTspektrum, 14(5):55-59, September/October 2007. SIGS Publications. In German; Better use of offshore opportunities: assessments of strategy, partner selection, and operations. Enhancing Software Testing by Judicious Use of Code Coverage Information, by Stefan Berner, Roland Weber, and Rudolf K. Keller. In Proceedings of the Twenty-Ninth International Conference on Software Engineering, pages 612-620, Minneapolis, MN, USA, May 2007. IEEE. High-impact Refactoring based on Architecture Violations, by Fabrice Bourquin and Rudolf K. Keller. In Proceedings of the 11th European Conference on Software Maintenance and Reengineering (CSMR-2007), pages 149-158, Amsterdam, The Netherlands, March 2007. IEEE. Un métamodèle des graphes conceptuels, Olivier Gerbé, Guy Mineau, and Rudolf K. Keller. Revue d'Intelligence Artificielle, 21(1):257-286, Lavoisier, March/April 2007. Preserving the Context of Interrupted Business Process Activities, by Sarita Bassil, Stefanie Rinderle, Rudolf K. Keller, Peter Kropf, and Manfred Reichert. In: Enterprise Information Systems VII. Springer Verlag, Berlin, pages 149-156, 2006. ISBN 1-4020-5323-1. Initially published in Proceedings of ICEIS 2005. Automated Prototyping of User Interfaces based on UML Scenarios, by Mohammed Elkoutbi, Ismail Khriss, and Rudolf K. Keller. Journal of Automated Software Engineering, 13(1):5-40, Springer Science+Business Media B.V., January 2006. Fit for Change: Steps towards Effective Software Maintenance, by Roland Weber, Theo Helfenberger, and Rudolf K. Keller. In Proceedings of the International Conference on Software Maintenance (ICSM'05), pages 26-33, Budapest, Hungary, September 2005. IEEE. Recipient of Best Industrial Paper Award. Preserving the Context of Interrupted Business Process Activities, by Sarita Bassil, Stefanie Rinderle, Rudolf K. Keller, Peter Kropf, and Manfred Reichert. In Proceedings of the Seventh International Conference on Enterprise Information Systems (ICEIS 2005), pages 38-45, Miami, FL, USA, May 2005. Observations and Lessons Learned from Automated Testing, by Stefan Berner, Roland Weber, and Rudolf K. Keller. In Proceedings of the Twenty-Seventh International Conference on Software Engineering, pages 571-579, St. Louis, MO, USA, May 2005. IEEE. Experience Report. Predicting the Changeability of Object-Oriented Software with Design Metrics, by Hind Kabaili, Rudolf K. Keller, and François Lustman. In Proceedings of the IASTED International Conference on Software Engineering, pages 61-66, Innsbruck, Austria, February 2005. Special Session on Impact Analysis in Software Engineering. A Workflow-Oriented System Architecture for the Management of Container Transportation, by Sarita Bassil, Rudolf K. Keller, and Peter G. Kropf. In Proceedings of the Second International Conference on Business Process Management, pages 116-131, Potsdam, Germany, June 2004. Springer. LNCS 3080. Zühlke-Wording. Editorial & Special Issue, by Ruedi Keller-Tao. In Zühlke-Intern, 2/2004:1-3, 10, May 2004. Company newsletter of Zühlke Engineering AG. In German. Articles on German in Daily Business (Korrekt, verständlich, interessant! Deutsch im Zühlke-Alltag), jointly with Stefan Widmer; Gender of the Word Review (Der, die oder das Review? ); The Road to Good Style (Wege zu gutem Stil); Duden-Quiz. Agile Processes Prove of Value, by Ruedi Keller-Tao. In readme, (11):9, March 2004. Newsletter of the alumni organization of the CS department at University of Zurich. In German; title: Agile Prozesse bewähren sich. Full Text (extended version; PDF format). A Dynamic Approach to Multi-Transfer Container Management, by Sarita Bassil, Benoît Bourbeau, Rudolf K. Keller, and Peter Kropf. In Proceedings of the Second International Workshop on Freight Transportation and Logistics (ODYSSEUS 2003), Mondello (Palermo), Italy, May 2003. Provided on CD-ROM, 3 pages. Design Composition, by Johannes Sametinger and Rudolf K. Keller. Journal of Computer Science & Technology, 3(1):27-33, April 2003. Iberoamerican Science & Technology Education Consortium (ISTEC). Class Cohesion as Predictor of Changeability: An Empirical Study, Hind Kabaili, Rudolf K. Keller, and François Lustman. In Fernando Brito e Abreu and Geert Poels and Houari A. Sahraoui and Horst Zuse, editors, Quantitative Approaches in Object-oriented Software Engineering, chapter 5, pages 87-105. Derived from L'Objet, Quantitative Approaches in Object-oriented Software Engineering, Vol. 7, no. 4, 2001. Hermes Penton Science, 2002. Real-time System Specifications based on UML Scenarios and Timed Petri Nets, Mohammed Elkoutbi, Mohamed Bennani, Rudolf K. Keller, and Mohamed Boulmalef. In International Workshop on Communication Software Engineering (IWCSE’2002), IEEE 2nd International Symposium on Signal Processing and Information Technology, pages 362-366, Marrakech, Morocco, December 2002. A Change Impact Model for Changeability Assessment in Object-Oriented Systems, by M. Ajmal Chaumun, Hind Kabaili, Rudolf K. Keller, and François Lustman. Science of Computer Programming, 45(2-3):155-174, November - December 2002. Elsevier Science Publishers. Special Issue on Software Maintenance and Reengineering (CSMR 99). Compositional Design Reuse, by Johannes Sametinger and Rudolf K. Keller. In Proceedings of the VIII Argentinean Conference on Computer Science (CACIC 2002), Buenos Aires, Argentina, October 2002. Electronic proceedings. 12 pages. A Comparison Framework and Assessment of two Specification Approaches based on UML Scenarios, by Mohammed Elkoutbi and Rudolf K. Keller. In Proceedings of the Workshop on Software Model Engineering, Fifth International Conference on the Unified Modeling Language - the Language and its Applications (UML-2002), Dresden, Germany, October 2002. 8 pages. Program Comprehension by Visualization in Context, by Rui Yin and Rudolf K. Keller. In Proceedings of the International Conference on Software Maintenance (ICSM'2002), pages 332-341, Montreal, Canada, October 2002. IEEE. Addressing Dynamism in E-Negotiations by Workflow Management Systems, by Sarita Bassil, Morad Benyoucef, Rudolf K. Keller, and Peter G. Kropf. In Proceedings of the Thirteenth International Workshop on Database and Expert Systems Applications (DEXA 2002), pages 655-659, Aix-en-Provence, France, September 2002. IEEE. Presented in 3rd e-Negotiations Workshop. A Rule-driven Approach for Defining the Behavior of Negotiating Software Agents, by Morad Benyoucef, Hakim Alj, Kim Levy, and Rudolf K. Keller. In Proceedings of the Fourth International Conference on Distributed Communities on the Web, pages 165-181, Sydney, Australia, April 2002. Springer. LNCS 2468. Hakan Erdogmus and Oryal Tamir, editors. 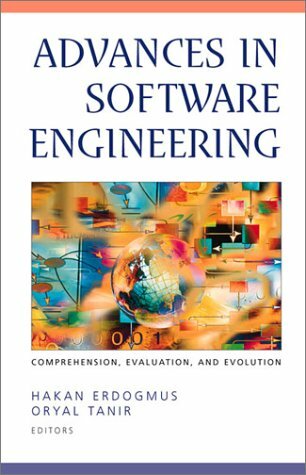 Advances in Software Engineering. Comprehension, Evaluation, and Evolution. Springer, 2002. ISBN 0-387-95109-1. Pattern-Based Design Recovery with SPOOL, by Rudolf K. Keller, Reinhard Schauer, Sébastien Robitaille, and Bruno Laguë. In Hakan Erdogmus and Oryal Tanir, editors, Advances in Software Engineering. Comprehension, Evaluation, and Evolution, chapter 6, pages 113-135. Springer, 2002. Design Properties and Evolvability of Object-Oriented Systems, by M. Ajmal Chaumun, Hind Kabaili, Rudolf K. Keller, and François Lustman. In Hakan Erdogmus and Oryal Tanir, editors, Advances in Software Engineering. Comprehension, Evaluation, and Evolution, chapter 10, pages 197-224. Springer, 2002. The SPOOL Design Repository: Architecture, Schema, and Mechanisms, by Reinhard Schauer, Rudolf K. Keller, Bruno Laguë, Gregory Knapen, Sébastien Robitaille, and Guy Saint-Denis. In Hakan Erdogmus and Oryal Tanir, editors, Advances in Software Engineering. Comprehension, Evaluation, and Evolution, chapter 13, pages 269-294. Springer, 2002. Class Cohesion as Predictor of Changeability: An Empirical Study, by Hind Kabaili, Rudolf K. Keller, and François Lustman. L'Objet, 7(4):515-534, 2001. Hermes Science Publications, Paris, France. Towards Electronic Marketplaces: A Progress Report, by Gilbert Babin, Teodor G. Crainic, Michel Gendreau, Rudolf K. Keller, Peter Kropf, and Jacques Robert. In Proceedings of the Fourth International Conference on Electronic Commerce Research (ICECR-4), pages 637-646. Dallas, TX, USA, November 2001. Workflow Modeling of Combined Negotiations in E-Commerce, by Morad Benyoucef, Sarita Bassil, and Rudolf K. Keller. In Proceedings of the Fourth International Conference on Electronic Commerce Research (ICECR-4), pages 348-359. Dallas, TX, USA, November 2001. The Method Replacement Indicator: A Metric for Analyzing Behavioral Substitution., by Reinhard Schauer and Rudolf K.Keller. In Proceedings of the International Conference on Software Maintenance (ICSM'2001), pages 754-763, Firenze, Italy, November 2001. IEEE. Automatic Synthesis of Behavioral Specifications from Scenarios, by Ismail Khriss, Mohammed Elkoutbi, and Rudolf K. Keller. Journal of Integrated Design & Process Science, 5(3):53-77, September 2001. IOS Press. An Infrastructure for Rule-Driven Negotiating Software Agents, by Morad Benyoucef, Hakim Alj, and Rudolf K. Keller. In Proceedings of the Twelfth International Workshop on Database and Expert Systems Applications (DEXA 2001) , pages 737-741, Munich, Germany, September 2001. IEEE. Presented in 2nd e-Negotiations Workshop. Conceptual Graphs and Metamodeling, by Olivier Gerbé, Guy W. Mineau, and Rudolf K. Keller. In Proceedings of the Ninth International Conference on Conceptual Structures, pages 245-259, Stanford, CA, July 2001. Springer. LNAI 2120. Combined Negotiations in E-Commerce: Concepts and Architecture, by Morad Benyoucef, Hakim Alj, Mathieu Vézeau, and Rudolf K. Keller. Electronic Commerce Research Journal, 1(3):277-299, July 2001. Special issue on Theory and Application of Electronic Market Design. Baltzer Science Publishers. A Change Impact Model Encompassing Ripple Effect and Regression Testing, by Hind Kabaili, Rudolf K. Keller, and Francois Lustman. In Proceedings of the Fifth International Workshop on Quantitative Approaches in Object-Oriented Software Engineering, pages 25-33, Budapest, Hungary, June 2001. Held in conjunction with the 15th European Conference on Object-Oriented Programming (ECOOP'2001). Design and Implementation of a UML-based Design Repository, by Rudolf K. Keller, Jean-François Bédard, and Guy Saint-Denis. In Proceedings of the Thirteenth Conference on Advanced Information Systems Engineering (CAiSE'01), pages 448-464, Interlaken, Switzerland, June 2001. A Qualitative and Quantitative Evaluation of Software Visualization Tools, by Sarita Bassil and Rudolf K. Keller. In Proceedings of the Workshop on Software Visualization pages 33-37, Toronto, ON, May 2001. Held in conjunction with the 23rd Intl. Conf. on Software Engineering. Software Visualization Tools: Survey and Analysis, by Sarita Bassil and Rudolf K. Keller. In Proceedings of the Ninth International Workshop on Program Comprehension (IWPC'2001), pages 7-17, Toronto, ON, May 2001. IEEE. Algorithmic Support for Model Transformation in Object-Oriented Software Development, by Siegfried Schönberger, Rudolf K. Keller, and Ismail Khriss. Concurrency and Computation: Practice and Experience, 13(5):351-383, April 2001. Object Systems Section. John Wiley and Sons. Summary Report of the OOPSLA 2000 Workshop on Scenario-Based Round-Trip Engineering, by Tarja Systä, Rudolf K. Keller, and Kai Koskimies. ACM SIGSOFT Software Engineering Notes, 26(2):24-28, March 2001. Held in conjunction with the Conference on Object-Oriented Programming, Systems, Languages and Applications (OOPSLA 2000), Minneapolis, MN, October 16, 2000. Cohesion as Changeability Indicator in Object-Oriented Systems, by Hind Kabaili, Rudolf K. Keller, and François Lustman. In Proceedings of the Fifth European Conference on Software Maintenance and Reengineering (CSMR 2001), pages 39-46, Estoril Coast (Lisbon), Portugal, March 2001. IEEE. Open Distributed Architectures for E -Market Design, by Rudolf K. Keller, In Ulrike Lechner, Beat F. Schmid, and Katarina Stanoevska-Slabeva, editors, Proceedings of the Seventh Research Symposium on Emerging Electronic Markets, mcm institute, University of St. Gallen, Switzerland, 2001. Full version of abstract presented at RSEEM-2000. Proceedings have never been published. Pattern-based Refinement Schemas for Design Knowledge Transfer, by Ismaïl Khriss, Rudolf K. Keller, and Issam A. Hamid. Knowledge-Based Systems, 13(6):403-415, November 2000. Elsevier Science Publishers. Bridging Program Comprehension Tools by Design Navigation, by Sébastien Robitaille, Reinhard Schauer, and Rudolf K. Keller. In Proceedings of the International Conference on Software Maintenance (ICSM'2000), pages 22-32, San Jose, CA, October 2000. IEEE. A Conceptual Architecture for a Combined Negotiation Support System, by Morad Benyoucef and Rudolf K. Keller. In Proceedings of the Eleventh International Workshop on Database and Expert Systems Applications (DEXA 2000), pages 1015-1019, Greenwich, London, Britain, September 2000. IEEE. Presented in W17: Workshop on Negotiations in Electronic Markets - Beyond Price Discovery - E-Negotiations. Conceptual Graphs, Metamodeling and Notation of Concepts, by Olivier Gerbé, Guy Mineau, and Rudolf K. Keller. In Proceedings of the Eighth International Conference on Conceptual Structures, pages 157-171, Darmstadt, Germany, August 2000. Full Text (PDF format). User Interface Prototyping based on UML Scenarios and High-level Petri Nets, by Mohammed Elkoutbi and Rudolf K. Keller. In Application and Theory of Petri Nets 2000 (Proc. of 21st Intl. Conf. on ATPN), pages 166-186, Aarhus, Denmark, June 2000. Springer. LNCS 1825. An Evaluation of Formalisms for Negotiations in E-Commerce, by Morad Benyoucef and Rudolf K. Keller. In Proceedings of the Workshop on Distributed Communities on the Web, pages 45-54, Quebec City, QC, Canada, June 2000. Springer. LNCS 1830. Class Cohesion Revisited: An Empirical Study on Industrial Systems, by Hind Kabaili, Rudolf K. Keller, Francois Lustman, and Guy Saint-Denis. In Proceedings of the Fourth International Workshop on Quantitative Approaches in Object-Oriented Software Engineering, pages 29-38, Sophia Antipolis and Cannes, France, June 2000. Held in conjunction with the 14th European Conference on Object-Oriented Programming (ECOOP'2000). XML Support to Design for Testability, by Daniel Deveaux, Guy Saint-Denis, and Rudolf K. Keller. In Proceedings of the Workshop on XML and Object Technology (XOT'2000), Sophia Antipolis and Cannes, France, June 2000. Held in conjunction with the 14th European Conference on Object-Oriented Programming (ECOOP'2000). A Framework for Framework Documentation, by Gregory Butler, Rudolf K. Keller, and Hafedh Mili. ACM Computing Surveys, 32(1es), March 2000. Symposium on Object-Oriented Application Frameworks; online at http://www.acm.org/pubs/contents/journals/surveys/2000-32; section Framework Documentation, article number 2, 7 pages. Towards a Generic E-Negotiation Platform, by Morad Benyoucef, Rudolf K. Keller, Sophie Lamouroux, Jacques Robert, and Vincent Trussart. In Proceedings of the Sixth International Conference on Re-Technologies for Information Systems, pages 95-109, Zurich, Switzerland, February 2000. Austrian Computer Society. Design Properties and Object-Oriented Software Changeability, by M. Ajmal Chaumun, Hind Kabaili, Rudolf K. Keller, Francois Lustman, and Guy St-Denis. In Proceedings of the Fourth Euromicro Working Conference on Software Maintenance and Reengineering, pages 45-54, Zurich, Switzerland, February 2000. IEEE. Towards a Quantitative Assessment of Method Replacement, by Rudolf K. Keller and Reinhard Schauer. In Proceedings of the Fourth Euromicro Working Conference on Software Maintenance and Reengineering, pages 141-150, Zurich, Switzerland, February 2000. IEEE. Selecting a Model Interchange Format. The SPOOL Case Study, by Guy Saint-Denis , Reinhard Schauer, and Rudolf K. Keller. In Proceedings of the Thirty-Third Annual Hawaii International Conference on System Sciences, Maui, HI, January 2000. Provided on CD-ROM, 10 pages. Layla: Network Management Interfaces Framework, by Rudolf K. Keller and Jean Tessier. In Mohamed E. Fayad and Ralph E. Johnson, editors, Domain-Specific Application Frameworks. Frameworks Experience by Industry, pages 489-490. John Wiley and Sons, 1999. Sidebar article and pattern documentation on CD. Supporting Design by Pattern-based Transformations, by Ismail Khriss, Rudolf K. Keller, and Issam A. Hamid. In Proceedings of the Second International Workshop on Strategic Knowledge and Concept Formation, pages 157-167, Iwate, Japan, October 1999. Hot Spot Recovery in Object-Oriented Software with Inheritance and Composition Template Methods, by Reinhard Schauer, Sebastien Robitaille, Francois Martel, and Rudolf K. Keller. In Proceedings of the International Conference on Software Maintenance (ICSM'99), pages 220-229, Oxford, England, August 1999. IEEE. 1999. IEEE. Recipient of Best Paper Award (sponsored by Journal of Software Maintenance). The Design of a Trader-based CORBA Load Sharing Service, Elarbi Badidi, Rudolf K. Keller, Peter G. Kropf, and Vincent Van Dongen. In Proceedings of the Twelfth International Conference on Parallel and Distributed Computing Systems (PDCS'99), pages 75-80, Fort Lauderdale, FL, August 1999. Intl. Soc. for Computers and their Appl. Automating the Synthesis of UML Statechart Diagrams from Multiple Collaboration Diagrams, by Ismail Khriss, Mohammed Elkoutbi, and Rudolf K. Keller. In In Jean Bezivin and Pierre Alain Muller, editors, << UML >>'98: Beyond the Notation, pages 132-147, Springer-Verlag, 1999. LNCS 1618. Revised version of UML'98 paper. Generating User Interface Prototypes from Scenarios, by Mohammed Elkoutbi, Ismail Khriss, and Rudolf K. Keller. In Proceedings of the Fourth IEEE International Symposium on Requirements Engineering (RE'99), pages 150-158, Limerick, Ireland, June 1999. Pattern-based Reverse Engineering of Design Components, by Rudolf K. Keller, Reinhard Schauer, Sebastien Robitaille, and Patrick Page. In Proceedings of the Twenty-First International Conference on Software Engineering, pages 226-235, Los Angeles, CA, May 1999. IEEE. Transformations for Pattern-based Forward-Engineering, by Ismail Khriss and Rudolf K. Keller. In Proceedings of the International Workshop on Software Transformation Systems (STS'99), pages 50-58, Los Angeles, CA, May 1999. Held in conjunction with the 21st Intl. Conf. on Software Engineering. A Change Impact Model for Changeability Assessment in Object-Oriented Systems, by M. Ajmal Chaumun, Hind Kabaili, Rudolf K. Keller, and Francois Lustman. In Proceedings of the Third Euromicro Working Conference on Software Maintenance and Reengineering, pages 130-138, Amsterdam, The Netherlands, March 1999. IEEE. International Workshop on Large-Scale Software Composition, by Rudolf K. Keller, Bruno Lague, and Reinhard Schauer. In ACM SIGSOFT Software Engineering Notes, 24(1):49-54, January 1999. Held in conjunction with the 9th Intl. Conf. on Database and Expert Systems Applications (DEXA'98), Vienna, August 1998. Also available at http://www.iro.umontreal.ca/labs/gelo/iw-lssc98/. A JavaCC parser for the UML-based CDIF transfer format, by Patrick Page, Rudolf K. Keller, and Reinhard Schauer. In Workshop on Model Engineering, Methods and Tools Integration with CDIF, Conference on Object-Oriented Programming Systems, Languages, and Applications (OOPSLA'98), Vancouver, B.C., Canada, October 1998. LoDACE: une architecture de partage de charge dans les systèmes distribués objets, by Elarbi Badidi, Rudolf K. Keller, Peter G. Kropf, and Vincent Van Dongen. In Proceedings of the Colloque International sur les NOuvelles TEchnologies de la REpartition (NOTERE'98), pages 281-296, Montreal, QC, Canada, October 1998. Editions CRIM. Conceptual Graphs for Representing Business Processes in Corporate Memories, by Olivier Gerbé, Rudolf K. Keller, and Guy Mineau. In Proceedings of the Sixth International Conference on Conceptual Structures, pages 401-415, Montpellier, France, Springer-Verlag, 1998. LNCS 1453. Dynamic Server Selection in Distributed Object Computing Systems, by Elarbi Badidi, Rudolf K. Keller, Peter G. Kropf, and Vincent Van Dongen, in Herwig Unger, editor, Proceedings of the Workshop on Distributed Computing on the WEB, pages 39-47, Rostock, Germany, June 1998. German Computer Society (GI), Rostock University Press. Automating the Synthesis of UML Statechart Diagrams from Multiple Collaboration Diagrams, by Ismail Khriss, Mohammed Elkoutbi, and Rudolf K. Keller, in Proceedings of the International Workshop on the Unified Modelling Language UML'98: Beyond the Notation, pages 115-126bis, Mulhouse, France, June 1998. Pattern Visualization for Software Comprehension, by Reinhard Schauer and Rudolf K. Keller, in Proceedings of the Sixth International Workshop on Program Comprehension (IWPC'98), pages 4-12, Ischia, Italy, June 1998. Vers une architecture de partage de charge dans un environnement CORBA, by Elarbi Badidi, Rudolf K. Keller, and Vincent Van Dongen, in Dominique Mery and Guy Rene Perrin, editors, Proceedings of the Tenth Rencontres francophones du parallélisme des architectures et des systèmes (RenPar'10), pages 103-106, Strasbourg, France, June 1998. University of Strasbourg (publ.). Design Components: Towards Software Composition at the Design Level, by Rudolf K. Keller and Reinhard Schauer, in Proceedings of the Twentieth International Conference on Software Engineering, pages 302-311, Kyoto, Japan, April 1998. IEEE. Modeling Interactive Systems with Hierarchical Colored Petri Nets, by Mohammed Elkoutbi and Rudolf K. Keller. In Proceedings of the 1998 Advanced Simulation Technologies Conference, pages 432-437, Boston, MA, April 1998. The Society for Computer Simulation International. HPC98 Special session on Petri-Nets. LoDACE: Towards a load distribution architecture for a distributed object computing environment, by Elarbi Badidi, Rudolf K. Keller, and Vincent Van Dongen. Technical Report GELO-81, Université de Montréal, Montreal, Canada, March 1998. A Repository for Design Components, by Rudolf K. Keller and Reinhard Schauer. In Workshop on Compositional Software Architectures, Monterey, CA, January 1998. OMG-DARPA. Available at http://www.objs.com/workshops/ws9801/index.html. A Compositional Approach to Software Design, by Rudolf K. Keller and Reinhard Schauer, in Proceedings of the Thirty-First Annual Hawaii International Conference on System Sciences, pages 386-395, Kona, HI, January 1998. IEEE. A Pattern System for Network Management Interfaces, by Rudolf K. Keller, Jean Tessier, and Gregor v. Bochmann. Communications of the ACM, 41(9):86-93, September 1998. Pattern Repositories for Design Composition, by Rudolf K. Keller and Reinhard Schauer. In Workshop on Patterns and Frameworks, 1997 CAS Conference (CASCON'97), Toronto, Ontario, Canada, November 1997. Object-Oriented Design Quality, by Rudolf K. Keller, Alistair Cockburn, and Reinhard Schauer. In Addendum to the Proceedings of the Conference on Object-Oriented Programming Systems, Languages and Applications (OOPSLA'97), pages 63-67, Atlanta, GA, October 1997. Report on OOPSLA'97 Workshop #12; also available at http://www.iro.umontreal.ca/ keller/Workshops/OOPSLA97/. Software Quality by Design Composition, by Reinhard Schauer and Rudolf K. Keller. In Workshop on Object-Oriented Design Quality, Conference on Object-Oriented Programming Systems, Languages, and Applications (OOPSLA'97) , Atlanta, GA, October 1997. http://www.iro.umontreal.ca/~keller/Workshops/OOPSLA97/. Schema Evolution in Object Databases by Catalogs, by Anne Pons and Rudolf K. Keller. In Proceedings of the International Database Engineering and Applications Symposium (IDEAS'97), pages 368-376, Montreal, Quebec, Canada, August 1997. IEEE. Layla: A Pattern-based Framework for Network Management Interfaces, by Rudolf K. Keller and Jean Tessier, Technical Report DIRO-1076, Université de Montréal, Montreal, Quebec, Canada, July 1997. Extending State Diagrams for Higher Expressiveness and More General Applicability, by Reinhard Schauer, Rudolf K. Keller, and Siegfried Schönberger. Technical Report DIRO-1065, Université de Montréal, Montreal, May 1997. Manager-Agent and Remote Operation: Two key patterns for network management interfaces, by Jean Tessier and Rudolf K. Keller, In Collected Papers from the PLoP'96 and EuroPLoP'96 Conferences, Washington University Department of Computer Science, wucs-97-07, pages 4.8.1-4.8.14, February 1997. Evolving Object Database Schemas by a Catalog of Primitive Modifications, by Anne Pons and Rudolf K. Keller, in Proceedings of the Eighth International Conference on Software Engineering and its Applications, pages 439-452, CNIT, Paris-La Défense, France, November 1995. EC2 et Cie, Paris. Environment Support for Business Reengineering: The Macrotec Approach, by Rudolf K. Keller, Xijin Shen, Richard Lajoie, Marianne Ozkan, and Tao Tao, in Software - Concepts and Tools, 16(1):31-40, Jan.-March 1995. Springer-Verlag. User Interface Tools: A Survey and Perspective, by Rudolf K. Keller, in Proceedings of the Workshop on Software Engineering and Human Computer Interaction: Joint Research Issues, pages 225-231, Sorrento, Italy, 1995, published by Springer-Verlag as LNCS 896. Design and Reuse in Object-Oriented Frameworks: Patterns, Contracts, and Motifs in Concert, by Richard Lajoie and Rudolf K. Keller, in Vangalur V. S. Alagar and Rokia Missaoui, editors, Object-Oriented Technology for Database and Software Systems, pages 295--312. World Scientific Publishing Co., Singapore, 1995. Reprint of ACFAS'94 paper. Multi-level Documentation of Organizational Architectures and Processes, by Rudolf K. Keller, Anurag Garg, Amin Naoman, and Tao Tao, in Proceedings of the Twelfth Annual International Conference on System Documentation, pages 139-144, Banff, Alberta, Canada, October 1994.